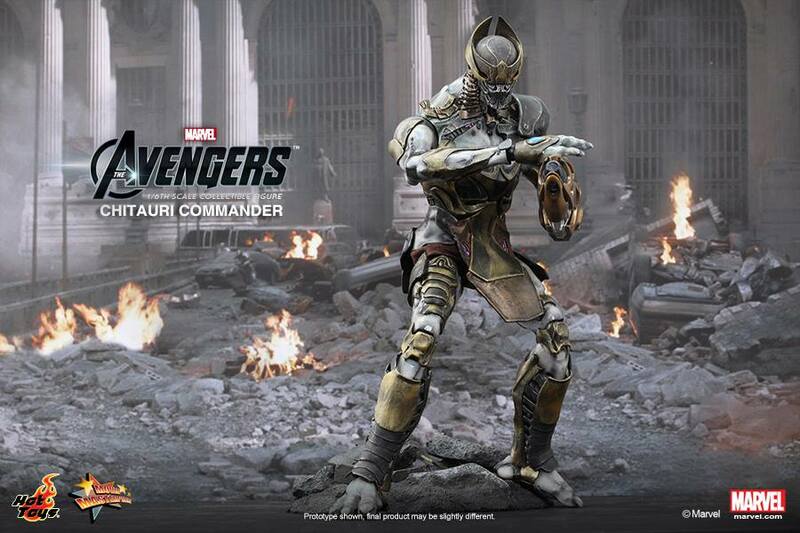 Led by Loki in The Avengers, the Chitauri soldiers invaded New York and brought destruction to the city. 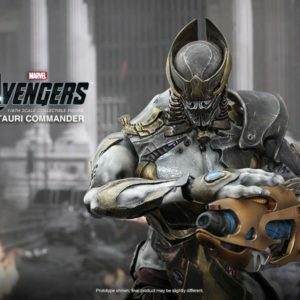 It had been a tough battle for The Avengers to take on the overwhelming number of these extra-terrestrial invaders!In addition to the Footsoldier that was revealed in toy fairs earlier this year, Hot Toys is excited to introduce the new 1/6th scale Chitauri Commander Collectable Figure. 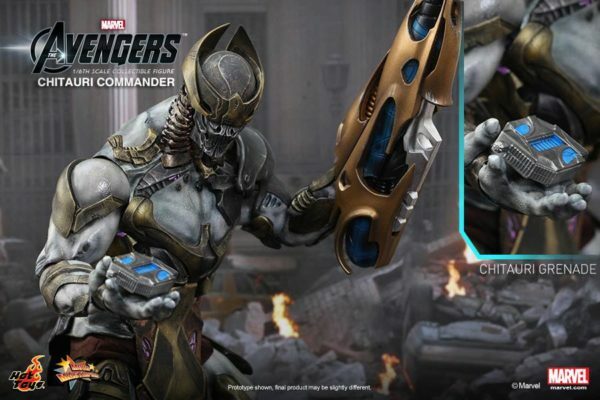 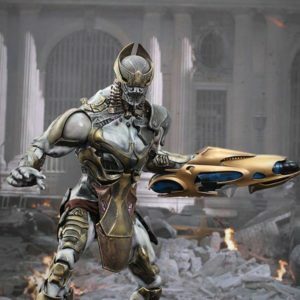 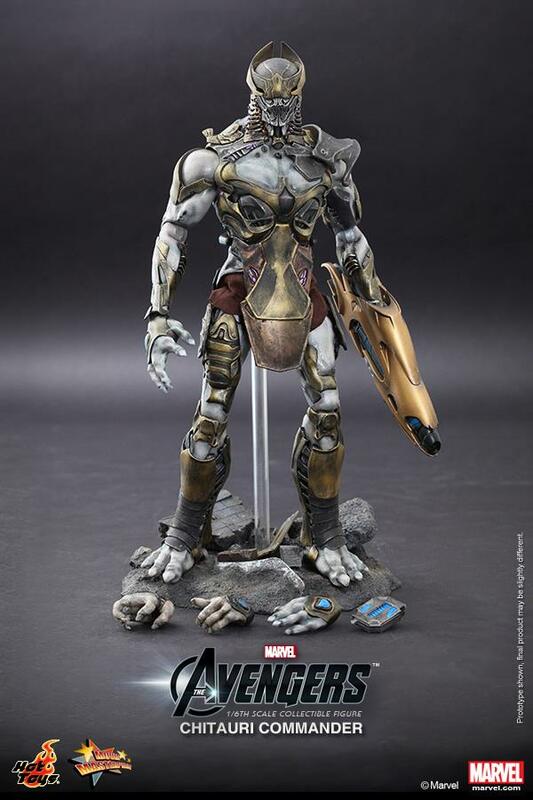 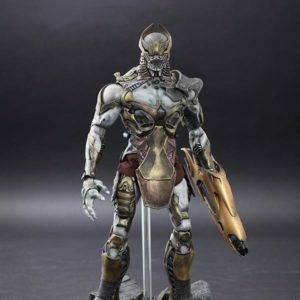 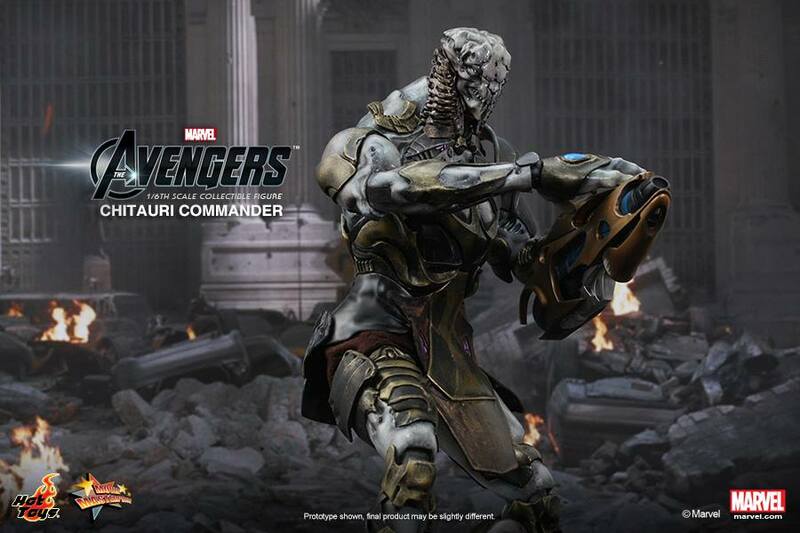 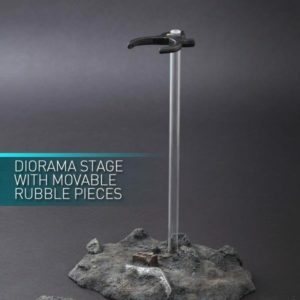 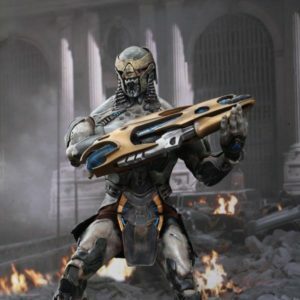 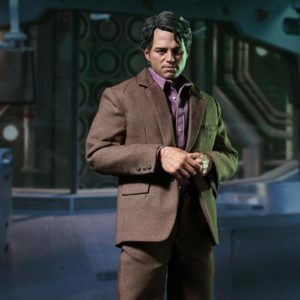 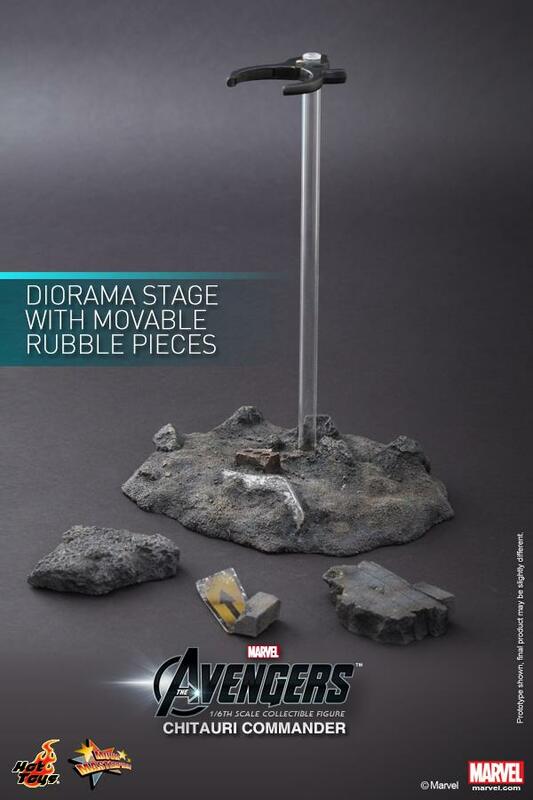 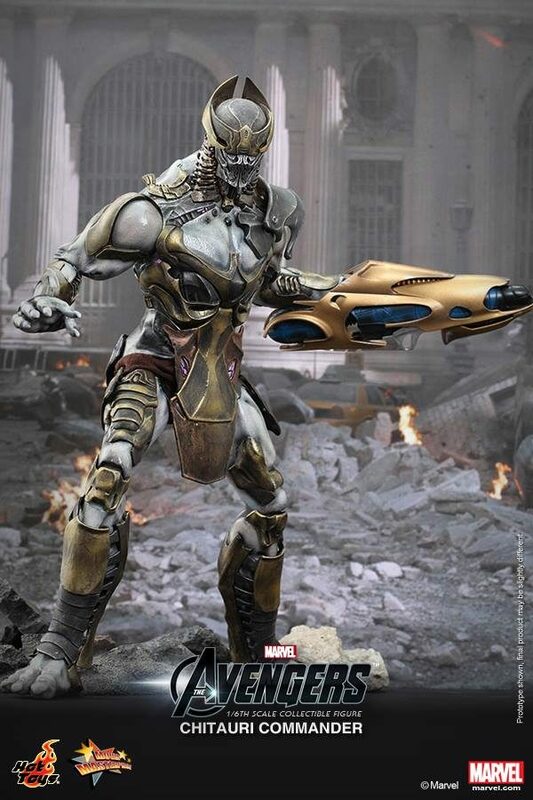 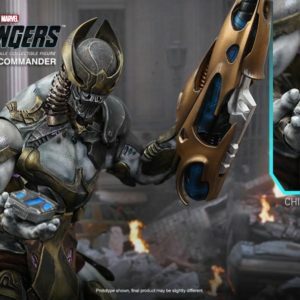 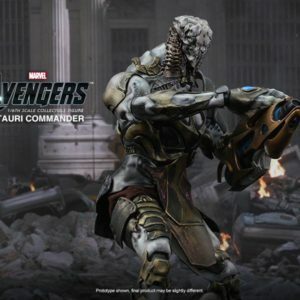 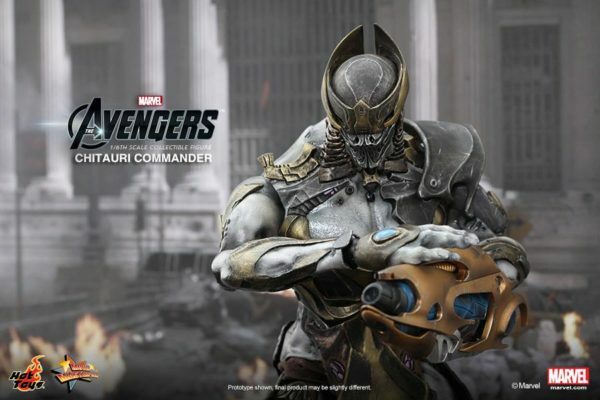 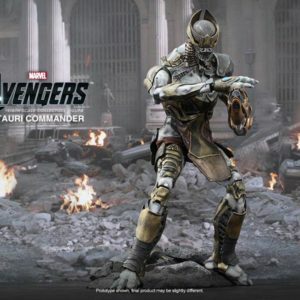 The movie-accurate collectable is specially created based on the image of Chitauri Commander in the movie, featuring finely crafted head sculpt and body, highly-detailed weapons, and diorama stage with movable rubble pieces.